A pair of recent studies demonstrate that the medical community is far from unified on the subject of rewarding or penalizing physicians based on the quality of patient care. The American Association of Physician Leadership and the Navigant Center for Healthcare Research and Policy Analysis(www.physicianleaders.org) jointly polled almost 2,400 physician leaders and medical executives and reported that 69 percent of them agreed or strongly agreed that physicians should be held accountable for both the cost and quality of care they provide to patients. Sixty-three percent of those surveyed disagreed or strongly disagreed that the ongoing shift from fee-for-service reimbursement to payments based on value will hurt the quality of patient care. In a released statement, Paul Keckley, Navigant’s managing director, said the leaders' support for greater accountability would likely cause “tension at home,” given that many physicians object to being held accountable when they have little or no control over the costs of tests, procedures, and medical devices. 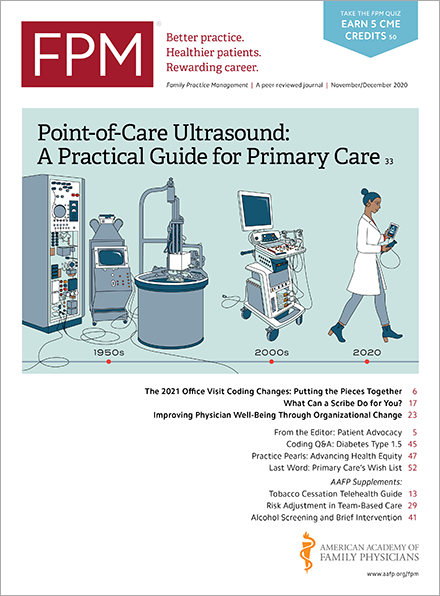 Partially echoing Keckley’s comments, a new study by The Commonwealth Fund and the Kaiser Family Foundation(kaiserfamilyfoundation.files.wordpress.com) found that half of the 1,624 primary care physicians who participated said the increased use of quality measures to evaluate provider performance was hurting the quality of care. Interestingly, that percentage was the same whether the physician was currently receiving quality-based incentive payments or not. Only 22 percent of physicians said they felt the use of quality performance measures was improving care (the number was slightly higher, 28 percent, among physicians currently paid based on quality). In total, 55 percent of the physicians reported receiving some sort of financial incentive based on quality or efficiency. Fifty-two percent of physicians also said financial penalties for unnecessary hospital admission or readmissions were hurting care quality. Only one in six said programs with those types of penalties were helping.